South Australia confirmed its status as a trusted regulator and a province for oil and natural gas exploration and production at the Australian Petroleum Production & Exploration Association (APPEA) conference in Perth, which drew curtains yesterday. Speaking at the conference, Mineral Resources and Energy Minister Tom Koutsantonis said South Australia was striving to be the best destination in the world for responsible and sustainable oil and natural gas exploration and production. “While gas supply for the State’s domestic and industrial users, employment and revenue streams are all important, the State’s trusted regulatory framework must meet community and industry expectations first,” Mr Koutsantonis said. According to the article on the Department for Manufacturing, Innovation, Trade, Resources and Energy (DMITRE) official website, South Australia is home to Australia’s largest onshore oil and gas province in the Cooper-Eromanga Basins, which is estimated to have 400 years’ worth of domestic supply. The State Government is offering four new petroleum exploration licenses (PELs) in the Cooper and Eromanga Basins, and information about the blocks will be promoted at APPEA. The bids are open through to the end of May. “The CO2013 blocks, as they’re known, cover an area of more than 9,000 square kilometres and possibly contain conventional and unconventional gas plays,” Mr Koutsantonis said. The 2013 September quarter saw expenditure on petroleum exploration increase by 33%, while petroleum production value exceeded $6 billion in the past financial year. 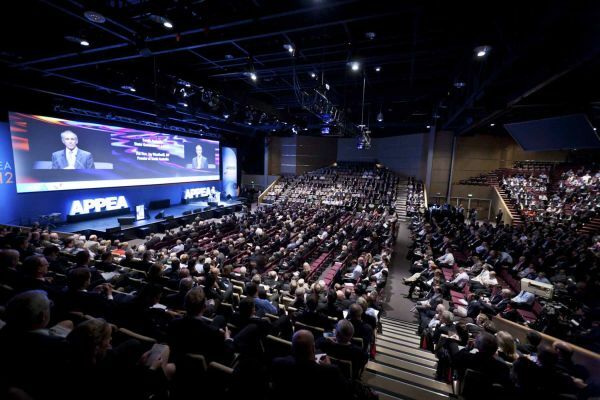 The Perth APPEA 2014 Conference, which is the largest upstream oil and gas forum in the southern hemisphere, was held at the Perth Convention and Exhibition Centre between 6–9 April.